Since 2000, global malaria deaths have dropped 66 percent among all age groups, and by 71 percent among children under five. 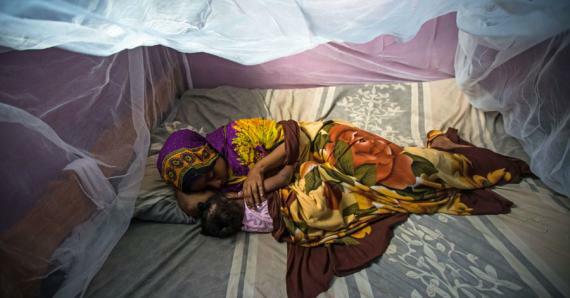 More than six million lives have been saved, and a vast majority of the lives saved have been children, according to the World Health Organization’s World Malaria Report released this week. The increased application of proven interventions has helped to loosen malaria’s grip. Together with partner countries, under national malaria control program leadership, and with partners and stakeholders, the U.S. President’s Malaria Initiative (PMI) brings effective tools for the prevention and control of malaria to the people who need them most, particularly women and children. 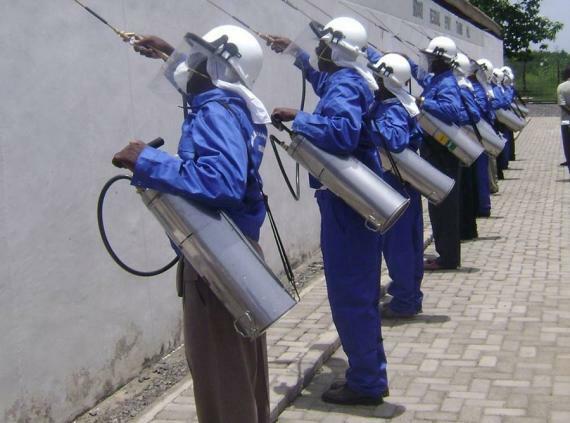 Among PMI’s prevention tools are the use of insecticide-treated mosquito nets (ITNs), indoor residual spraying (IRS), accurate diagnosis and prompt treatment, and intermittent preventive treatment of pregnant women (IPTp). 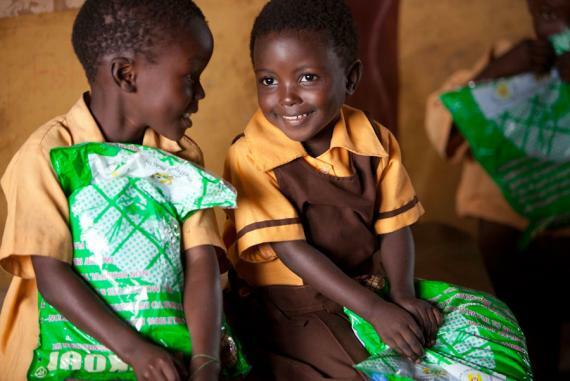 The year 2015 marks a decade of U.S. leadership in the global fight against malaria through PMI. Announced by President Bush in 2005, PMI started with three focus countries the next year. Today, PMI supports 19 countries in sub-Saharan Africa and countries in the Greater Mekong sub-region. Through PMI, the U.S. Government is supporting malaria-affected countries to reduce malaria-related mortality and substantially decrease malaria morbidity toward the long-term goal of elimination. In sub-Saharan Africa, more than half of the population is now sleeping under ITNs, compared to just two percent in 2000. A rapid expansion in diagnostic testing, and in the availability of antimalarial medicines, has allowed many more people to access timely and appropriate treatment. We are also strengthening key components of partner country health systems, including commodity supply chains, laboratories, and health information systems. Estimates in the World Malaria report show that reductions in malaria cases in sub-Saharan Africa saved an estimated US $900 million over 14 years. Approximately 80 percent of malaria deaths are concentrated in just 15 countries, mainly in Africa. The Democratic Republic of the Congo and Nigeria together account for more than 35 percent of global mortality. Taken together, these 15 high-burden countries have achieved slower-than-average declines in malaria incidence and mortality. In most of these countries, weak health systems continue to impede progress. Millions of people at risk of contracting malaria still do not receive the services they need. In sub-Saharan Africa in 2014, an estimated 269 million of the 840 million people at risk of malaria lived in households without any ITNs or IRS; 15 million of the 28 million pregnant women at risk did not receive a dose of IPTp; and between 68 and 80 million of the 92 million children with malaria did not receive recommended medicines. As we set our sights on malaria elimination, we stand to avert nearly 3 billion cases of infection and generate some $4 trillion in additional economic output over the next 15 years. But we must ensure political commitment and predictable financial resources necessary to carry us over the finish line. We must be very clear about the opportunity and great peril we face. Instabilities — terrorism and war, refugee crises, and climate change — often dominate the public mindset and impede progress on malaria control in countries affected by these crises. If we fail to make the case for malaria control and elimination – especially in the context of the Sustainable Development Goals (SDGs), we will see resurgence. Failure to maintain high-level coverage of interventions has led to resurgence in multiple countries in the past, such as Sri Lanka, Zanzibar, and Zambia. However sustained financial and technical support to Sri Lanka and Zanzibar changed the trajectory and those nations are now on the final path to malaria elimination. Zambia is expected to be one of the first countries in southern Africa to attain this goal over the next decade. Malaria is at the heart of sustainable development and it brings many of the different dimensions of development together. Malaria control is central to improving child survival and maternal health, and contributes substantially to eradicating extreme poverty. Malaria and poverty are intimately connected. Judged as both a root cause and a consequence of poverty, malaria is most intractable for the poorest countries in the world. Malaria affects the health and economic growth of nations and individuals alike. Education cannot thrive as long as malaria is in the equation: according to the World Bank, malaria leads to 50 per cent of all preventable school absenteeism in Africa. Eradication of malaria was once thought to be unthinkable, and it is still an audacious vision, but for the first time in history, the global community believes a malaria-free world is within reach. About the Author: Rear Admiral (retired) Tim Ziemer serves as the United States’ Global Malaria Coordinator.